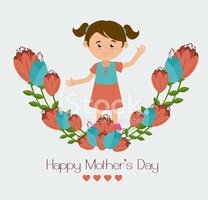 Mother day design, vector illustration. Card tamplate for mothers day. Happy Mothers Day Heart shaped.